Papal Nuncio to Ireland Archbishop Charles Brown will open the Holy Door of Mercy at Saint Patrick’s Basilica, Lough Derg, on Sunday to inaugurate the Jubilee of Mercy Pilgrimage Season. At Lough Derg, the pilgrimage season commences Sunday and ‘One Day Retreats’ continue on certain days until 30 May. ‘The Three Day Pilgrimage Season’ commences on Wednesday 1 June until 15 August. Pilgrims can begin their pilgrimage on any day up to and including 13 August, with One Day Retreats recommencing after this on Sunday 21 August. During the Three Day Pilgrimage, pilgrims make ‘Stations’: they walk barefoot, kneel on the hallowed beds, fast, pray and keep vigil. On One Day Retreats, pilgrims enter into a day of prayer and reflection and keep footwear on. 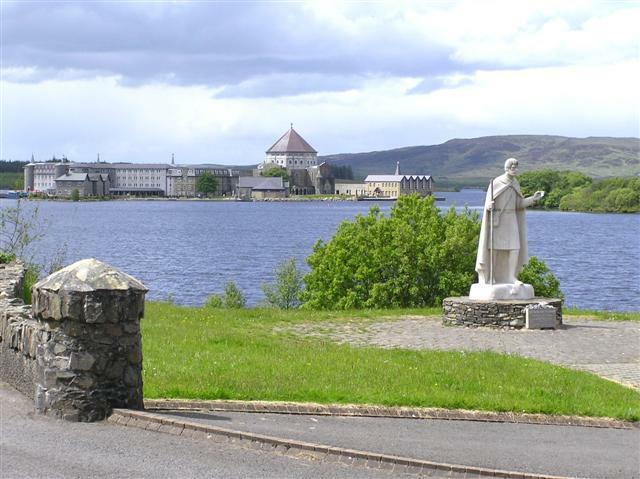 14,000 pilgrims visit Lough Derg every year, and since 1861 the number is estimated to be two million. On average, 70% of pilgrims have been female and 30% male. Eight out of ten pilgrims return to the island and each year a growing number of new younger people come to experience the sacred island. Speaking ahead of the start of the 2016 pilgrimage season, Archbishop Brown, said, “I am looking forward to Sunday as Lough Derg is very special for me, as it is for all pilgrims. It is really wonderful that during this Extraordinary Jubilee Year of Mercy, pilgrims have the opportunity to pass through a specially dedicated Holy Door on this holy island. By doing so we, the pilgrims to Lough Derg – in the words of Pope Francis himself – ask, “the Father to forgive our sins and to bathe us in his merciful ‘indulgence’” (cf. Misericordiae Vultus, 22). Five hundred pilgrims are expected to attend the opening day of the 2016 pilgrimage on Sunday. Archbishop Brown will preach the homily at Mass. Saint Patrick’s Sanctuary – the pilgrimage site – is located on Station island in Lough Derg which is four miles north of the village of Pettigo, Co Donegal. It is often referred to as Saint Patrick’s Purgatory or simply Lough Derg. The Diocese of Clogher has been the sole custodian of Lough Derg since 1780. Historical records date the practice of pilgrimage here to the 7th Century.